Imagine you are searching for a new home. You visit ten houses and finally find the right place. You tell the real estate agent, "This is the one, we are ready to buy." The agent says, "Great! You'll just have to wait until 18 months from now to sign the paperwork on 'National House Buying Day.' In the meantime just verbally agree that you'll buy the house and the sellers will verbally agree they will sell it to you. You have nothing to worry about and in 18 months you'll be able to move into your home." How confident would you feel about actually moving into that house under the verbally agreed upon terms? There are serious problems in college athletics surrounding early recruiting that are finally being recognized. This issue is being looked at by the NCAA and the Ivy League is advocating for changes in the recruiting approach to delay when and under what circumstances people can talk about and/or offer a scholarship to prospective students. The debate is being fueled by college coaches and grammar school prospects making "commitments" to each other. For decades the NCAA has tried to regulate who can talk to whom, when it can occur, and under what circumstances. It is classic bureaucracy. The magical first day a coach can call someone is July 1 of their junior year, unless it happens to be June 15 after their sophomore year, or September 1, or some other window of time. You can't call the prospect but they can call you. These arbitrary dates and rules have become the recruiting equivalent of the now infamous NCAA regulation of not being able to provide cream cheese for a bagel. As long as the NCAA rule book has existed, armies of compliance staff have instructed coaches how to work around/within the rules. This bureaucratic system fosters an environment where "advisers" and youth level coaches flourish in order to facilitate communication between prospects and college coaches. Families seek to work around arbitrary recruiting dates to become educated about college enrollment opportunities. And coaches work around the dates to secure the services of talented prospects. Both parties want these conversations to occur, otherwise they wouldn't working so hard to have them. The regulations simply don't work and have contributed to the current state of affairs. And unfortunately, new regulations won't work either. Few participants in the current system are honest brokers. The prospects and families have incentive to shop for the best deal (particularly in equivalency sports.) After making a "commitment" - that they are often pressured into - they can still continue to look at other schools and will continue to receive inquiries from other coaches until they are officially signed. Coaches have incentive to offer earlier and earlier because they know the system better than anyone; they know that even a soft commitment is helpful; and they know if a better athlete comes along they have lots of opportunities to escape from their verbal "commitment" with no accountability for failing to honor their offer. 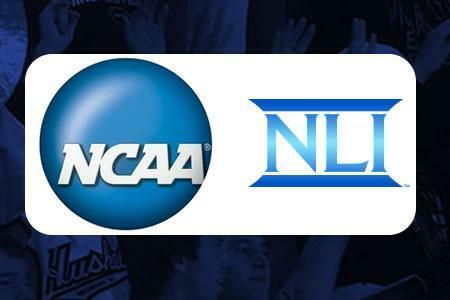 The NCAA, colleges and universities are complicit in the behavior because they continue to allow the system to persist. 1) Eliminate all "signing days." When I got down on one knee and proposed to my now wife of 20 years, I didn't say "will you marry me?" and then after she said yes, tell her the ring was coming on "National Ring Day." Amazon will deliver things to your house in 24 hours. You can buy a car when you are ready to buy. Once a buyer and seller have an agreement, you make the purchase. The same principle should apply in the college athletics recruiting process. When a school and a prospect agree to the terms of their relationship for what should be among the best four year's of a person's life - their college career - they should be able to seal the deal in writing and sign a National Letter of Intent, financial aid agreement or a similar contract making all parties explicitly clear about their intentions. With a binding commitment the school is protected against poaching or dishonesty by the family. And the prospect is protected against losing their offer due to coaching changes, injury, failing to develop at the correct rate or a coach simply wanting to go in a different direction. Everyone is on the same page - no room for funny business. 2) Allow signed commitments to occur at any age. Yes, this is radical, but currently coaches and schools hold most of the power in the relationship and face no accountability when they break their agreements. Families face no accountability when they break their commitment either. For those who are worried about high pressure sales, require a delay of a week or two between the offer and being permitted to sign and the signing cannot be in the presence of a coach - similar to the current rules about signing the Letter of Intent. 3) Under this deregulated system, if both parties agree to part ways they are free to do so. But if the prospect wants to leave against the school's wishes after signing an agreement it would trigger use of the one-time transfer exception for those sports that permit immediate competition without sitting a year - preventing use of that exception later. 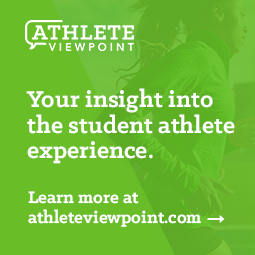 For those sports that require a year in residence to compete after transferring, the student athlete could leave but would have to sit a year, just as they do now when they transfer after enrollment. If the school is no longer interested in the prospect but the prospect still wants to attend the school, the prospect would retain the rights in the written agreement. How does this solve the early recruiting and commitment problem? It's simple - when coaches and athletic programs know they actually have to live with the decision to sign a 7th grade prodigy who may suddenly stop growing or develop a bad attitude as a high school junior the early offers will stop. Similarly, when families know their child will actually have to enroll at their fourth back-up choice school they committed to and can no longer shop for better offers they will pause, further educate themselves and become more sure about their decision. Further, knowing how much movement occurs within coaching ranks, families will become far more focused on the total educational opportunities of the school they plan to attend rather than their sport and the sales ability of a coach when their son or daughter commits. Critics of this concept will contend that early decisions are impractical due to undergraduate admission standards and young students being unprepared to make such a decision. But what is "too early" for one individual isn't "too early" for another. Every student is different and their preparation and ability to evaluate their college future is also different. Consider Ivy League Cornell University's recent decision to admit a 12 year-old student. Cornell determined the student was able to handle their college curriculum and it was a national story. Prospective student athletes in similar situations with athletic talent should be able to do the same thing. It's already happening internationally with 9 year olds. And it is obviously happening with slightly older prospects in the NCAA recruiting environment, but without the transparency of written agreements. The problem that needs to be addressed isn't the age of recruiting, which is not a predictor of readiness, maturity or decision-making ability. The problem is the pressure college athletics' fosters through a system of arbitrary dates, indirect communication and "commitments" that have no meaning. Allowing signed commitments at any time eliminates the winks, nods and crossed fingers behind backs. Coaches and families will have to be up front about their intentions because they will have to actually live with their decision. Advisors and agents will become less integral to the system because communication can occur directly between coach and prospect rather than via third parties who help circumvent the NCAA's recruiting contact rules to achieve what everyone wants - open communication about the future. Going back to my original home buying analogy, some states provide a three day window in which the person who signs the paperwork to buy a home can change their mind for any reason and back out. Ask a real estate broker what happens during those three days - the buyer and seller often continue to look to see if they can find a better house or attain a higher selling price. Obviously the same thing is happening in a recruiting environment where prospects and coaches have months and often multiple years between their "commitment" and actually signing documents ensuring the commitment will be upheld. The desire to eliminate the pressure associated with early recruiting, while laudable and necessary, isn't going to happen through regulation. It can best be achieved through deregulation and transparency. Creating another version of the same system with new dates and more regulations will be no more successful than the current system. More regulation will let everyone feel better because they tried to address the problem - but the problem won't be solved. Creating a system with transparency by providing open communication, freedom in decision-making and written agreements - in real-time like any other important life decision - will push recruiting decisions to the appropriate time for each individual situation and significantly improve ethical behavior in a system in need of reform. Feel free to share your opinions via the comment section on ultimatesportsinsider.com. Our knowledgeable staff is always on hand to offer advice and help with each aspect of every project we carry out. We can assist with giving prices for the work, creating designs for the facility, completing the installation and offering after care maintenance to keep your new outdoor area in top condition Check this out. All of us from Car Generate Away within Okla. Town, Okla. want to thank you for the only thing you do in helping to get our cars delivered for our clients, in a timely, as well as professional manner. You are always respectful as well as fast to respond to our needs you can try this out.